Small personalised design practise, specialising in residential homes, apartments, and small commercial. Borrmeister Architects is an award winning Christchurch based, hands-on, design-oriented practice driven by a consistent philosophical approach rather than by a pre-determined style. We also have an additional office in Whangamata, on the Coromandel Peninsula. We strive always to create architecture that integrates into the natural world thoughtfully and respectfully; to achieve positive experiences and healthy environments both for our clients and future users of our buildings. Venezuelan born, Italian & New Zealand citizen; Belfiore Bologna obtained his Architecture degree from the Central University of Venezuela in 1997 followed by a Postgraduate Specialization in Architecture and City Technologies for Urban Areas in Developing Countries from the Polytechnic of Turin, Italy (1999). His architectural work comprises projects of different scales and uses (residential, commercial , industrial & renewable energy systems) in Italy, Venezuela, P.R. China and recently in New Zealand. Belfiore is an International Associate of the American Institute of Architects (Hong Kong Local Chapter), he also keeps his registration as an Architect in Venezuela under the local Board of Engineers (CIV, Colegio de Ingenieros de Venezuela) as well as his membership in the local institute of Architects (CAV, Colegio de Arquitectos de Venezuela). In New Zealand, he practices as LBP-D2 and is a provisional member of the NZIA as well as a member of the ADNZ and NZGBC. 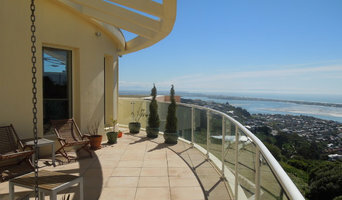 His company; Design Factum Limited began operations in Christchurch since April 2010. His approach to architecture portrays a high consideration to achieving deep understanding of the way of life and cultural background of the building final users as well as the specific functional requirements, local conditions, site-specificity and building performance. Formulating strong concepts based on deep insight regarding people way of life, habits, specific cultural requirements and customs as also by coherently and innovatively solving functional and site requirements are a key component of his work. Energy efficiency and alternative systems for applying renewables in buildings is directly related to the approach above mentioned; being these technologies site and project-specific; their application (single or combined) is always analyzed according to their true feasibility. Prior to starting Design Factum; Belfiore was involved in renewable energy projects of up to 25Mw, developing a sound understanding of this industry and therefore it true case-by-case possibilities when being considered . A personal connection with clients and a focus on excellence in the design of the built environment remains our driving force today. Owner Director, Bill Henderson, has been implementing Passive Solar Design in the local setting for more than a decade. Chaplin Crooks Architects are residential architecture specialists with the experience and knowledge to help you build your home for life in Christchurch. Your home’s design will be a well-considered response to the unique requirements of your site, brief and lifestyle. Before we start designing we’ll first take the time to listen to you. It’s only by discovering how you and your family live and what is important to you that we can design a home that perfectly fits your needs. Most importantly we’re easy to work with. There are no big egos in this office, and we’ll take the time to listen to your ideas and preferences so we can make your unique vision a reality. CoLab Architecture is a small practice of two Directors, Tobin Smith and Blair Paterson, based in Christchurch New Zealand. Tobin is a creative designer with a wealth of experience in the building industry. He was a founding director of award-winning Form Architecture in 2005 and Tobin Smith design in 2010. Blair is a registered architect and graduate from the University of Auckland. He spent ten formative years in the Christchurch offices of Warren and Mahoney, followed by MAP, before co-founding CoLab in 2011. "We like architecture to be visually powerful, intellectually elegant, and above all timeless. For us, timeless design is achieved through simplicity and strength of concept - in other words, a single idea executed beautifully with a dedication to the details. We strive to create architecture that is conscious of local climate (hunker down in Winter / open up in Summer) and the environment (scale and relationship to other buildings and the natural environment)". 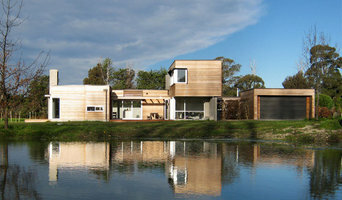 Sheppard & Rout Architects was established in 1982 by David Sheppard and the late Jonty Rout in Christchurch, New Zealand. Tim Dagg and Jasper van der Lingen joined David Sheppard as Directors of the practice in 2006. We are a design-based practice that believes in providing tailor-made solutions to an individual client's needs. The fundamental objective of the practice is to develop architecture that is appropriate to its specific site, wider context and intended use while being robust, flexible and environmentally-aware. These variables are used along with the appropriate structural considerations to develop buildings with well-suited form and style, instead of approaching the design from a stylistic standpoint. Hamish Shaw Architects is a multi-disciplinary studio practicing in the fields of architecture, design and urbanism. Three Sixty Architecture Ltd is a progressive and modern New Zealand based architectural practice with offices in Christchurch and Wanaka. We provide high quality innovative architecture specific to our clients needs throughout New Zealand. Our professional architectural services cover all aspects of design and documentation through to project management. 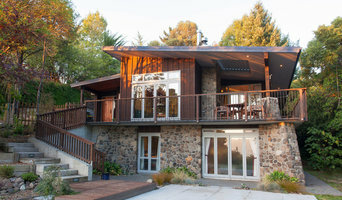 We are NZIA registered architects based in Christchurch and work on projects throughout New Zealand. We offer the whole range of architect’s services right through, from the initial establishment to detailed design, and contract administration. Our projects include houses, multi-residential, commercial, educational, cultural, interior, and we are also ecclesiastical designers. Our approach is client-centred. Particular attention is given to understanding the expectations and requirements of our clients. Then we explore the possibilities and collaborate as we develop the right design solutions. To help with this process we often create hand sketches initially, and with the ArchiCAD® 3D design program you can visualise the building taking shape at every step of the design. We work alongside our clients, giving each project our professional attention, in person, throughout. PXA is a client and context focused architecture practice. The ability to listen to our client’s needs and aspirations, and respond to context is the foundation of our design philosophy. PXA prides itself in maintaining good communication with its clients throughout the entire process from design through to completion. By working closely with its clients, PXA is able to incorporate cultural and personal values into the design process and final outcome. PXA produces quality architectural documentation and first person virtual models. These models allow our clients to experience and understand their projects, as well as assist in design decision making. Our philosophy is to work as a team with our clients, as well as all consultants involved in a project from concept through all stages of construction. This enables us to develop the most appropriate and innovative design solution for any given brief. We specialise in a wide range projects, both in complexity and scale, including residential, educational, and light commercial projects. PXA is an experienced NZIA registered architectural practice, with a focus on its clients and a team based approach to projects. If you are considering a building project feel free to contact us for a no obligation chat. If your renovation is more than a simple benchtop replacement or roof re-tiling job, then it may be time to find an architect in Christchurch, Canterbury, New Zealand who can manage your project from start to finish. Depending on the architecture firm you hire, the scope can span from planning sustainable design into your renovations, to selecting furniture and even interior finishes. An architect is often the first person you hire for your project. Before taking steps to find an architect in Christchurch, Canterbury, New Zealand, ask yourself what you want to achieve from your renovation or home construction. Do you want to improve the liveability and sustainability of your home, or simply expand? What style of architecture do you prefer? Once you have established your motivation, research architects that have completed similar house designs in your Christchurch locale and within a comparable budget to yours. Ideally, your Christchurch, Canterbury, New Zealand architect will be involved in all phases of the design process, from the initial concept to the completed construction. Your architect may be needed to select and hire Canterbury subcontractors (e.g. builders, engineers and landscape architects) just as they may need to negotiate contracts with stakeholders. A good client-architect relationship will ensure they are your biggest advocate along the way during construction. Find residential architects on Houzz. 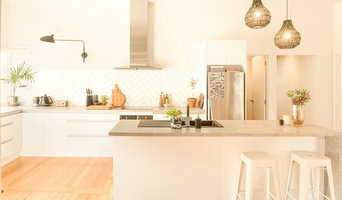 To find the best Christchurch, Canterbury, New Zealand architect for your home design project, narrow your search to find professionals in Christchurch, Canterbury, New Zealand. Then browse their latest projects and read reviews. You can also look through photos of projects to find an interior architect or designer who has worked on a project similar to yours.